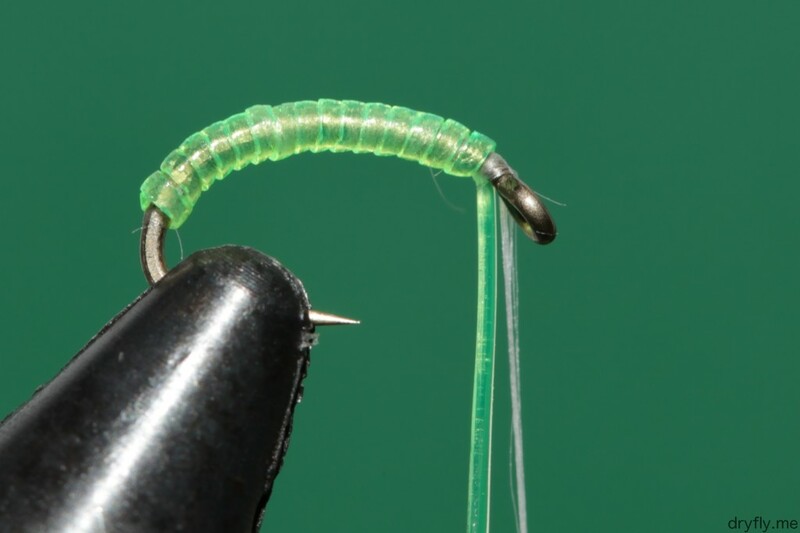 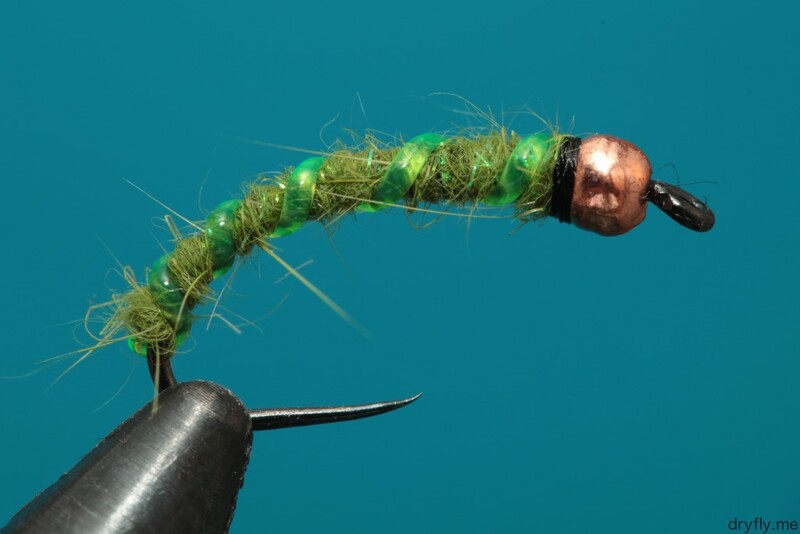 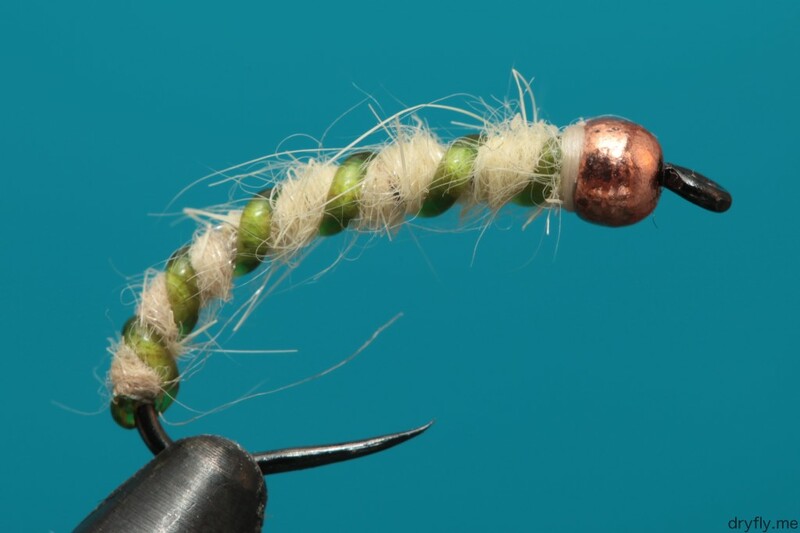 This is more of a one-time experiment to see how the polychenille will act as a extended body on a mayfly. 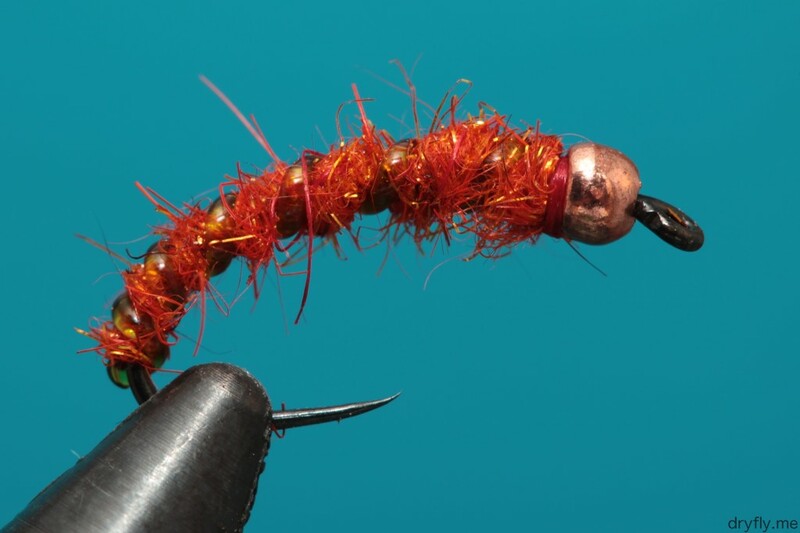 Have not tested out that before so it will be interesting to observe how it will behave in the river. 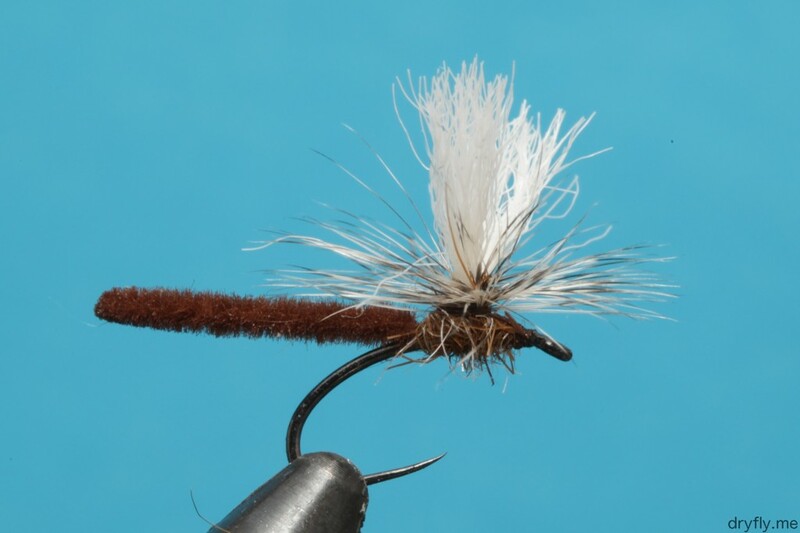 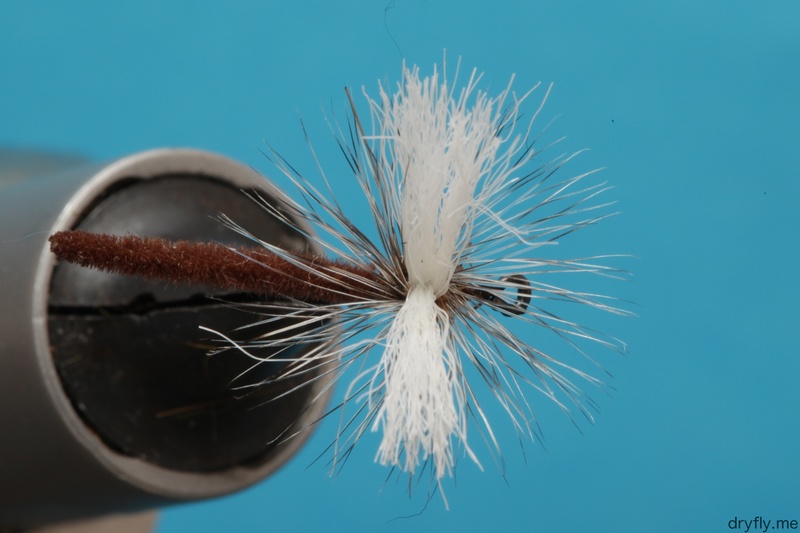 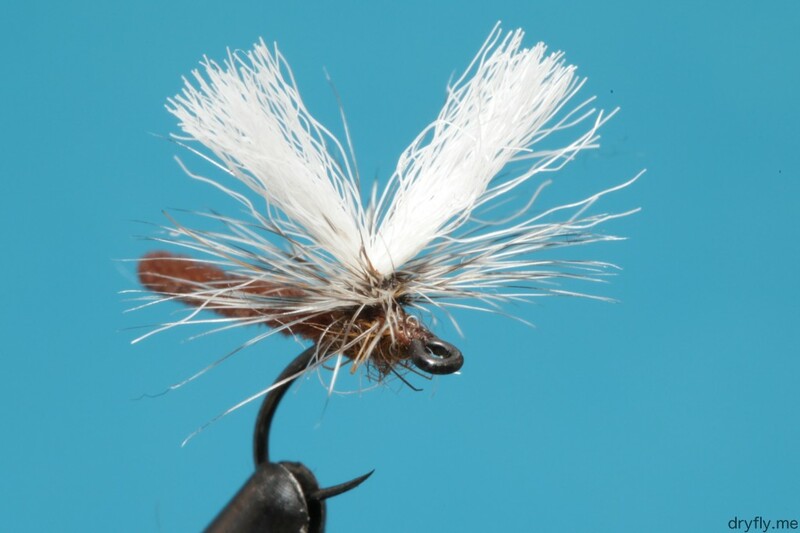 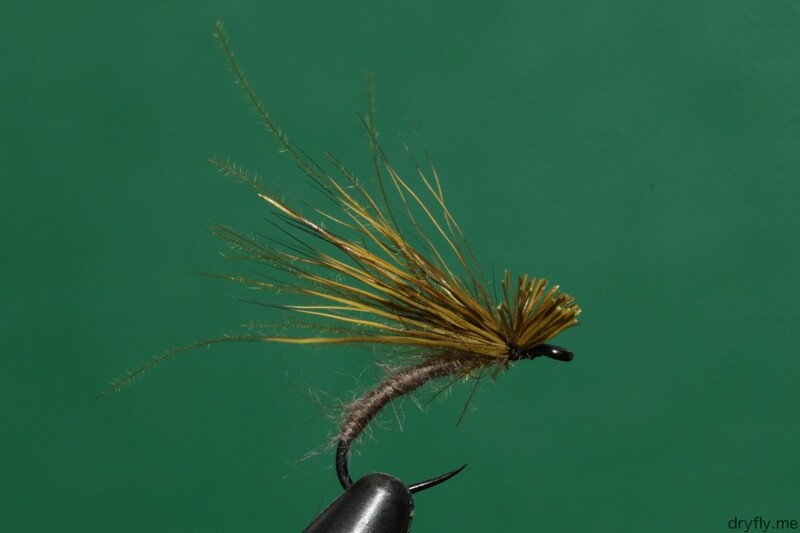 The body together with the hackle and V-wing should be a ok profile on the water. 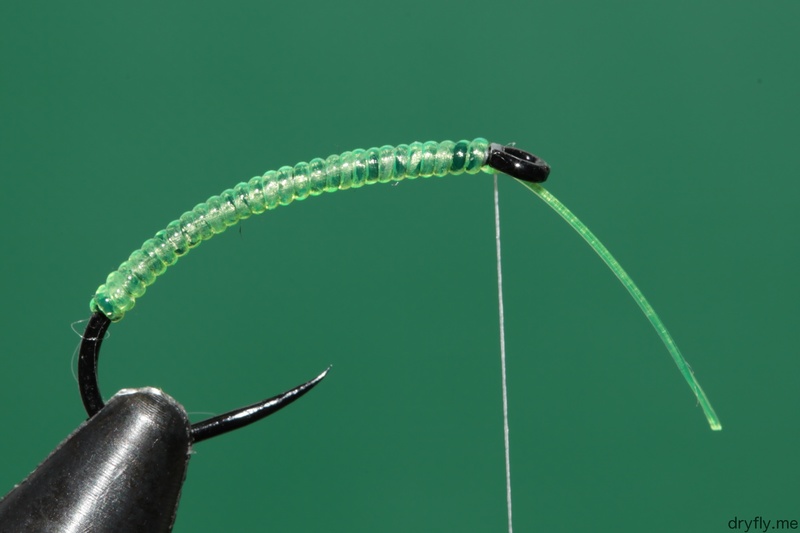 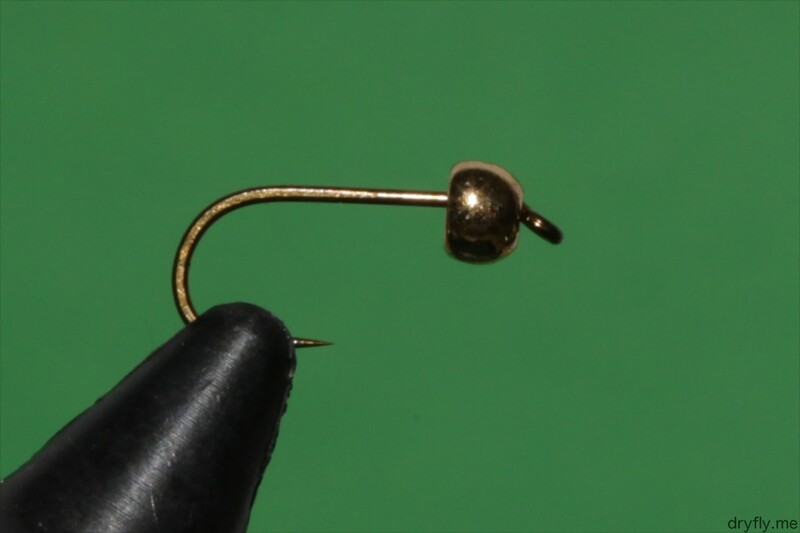 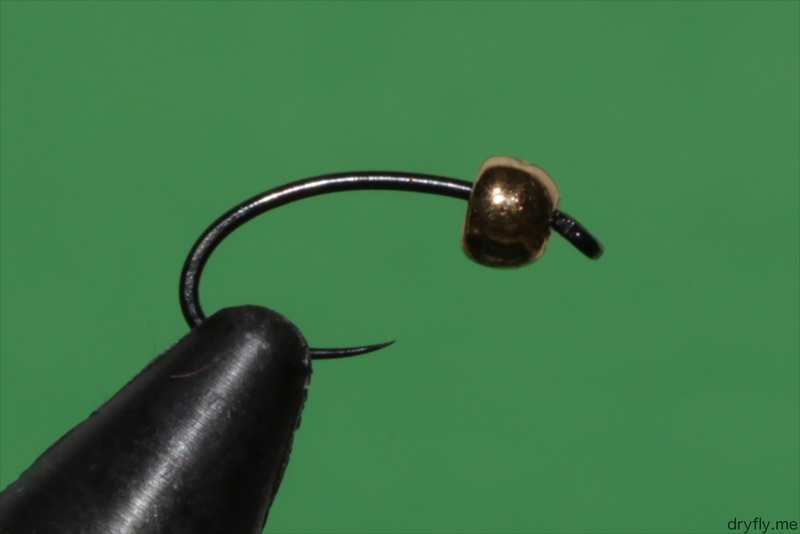 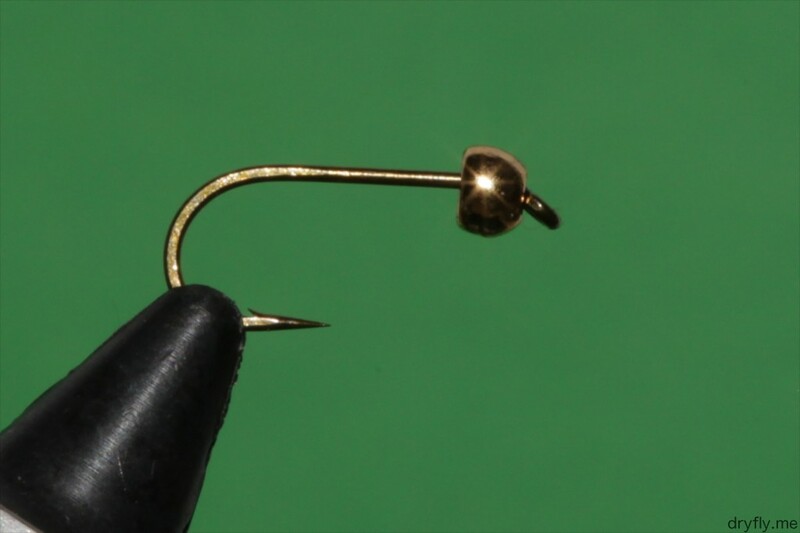 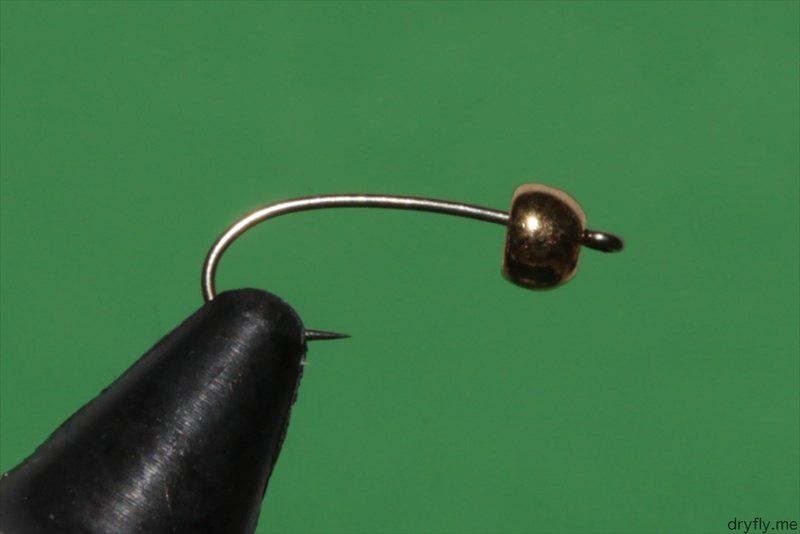 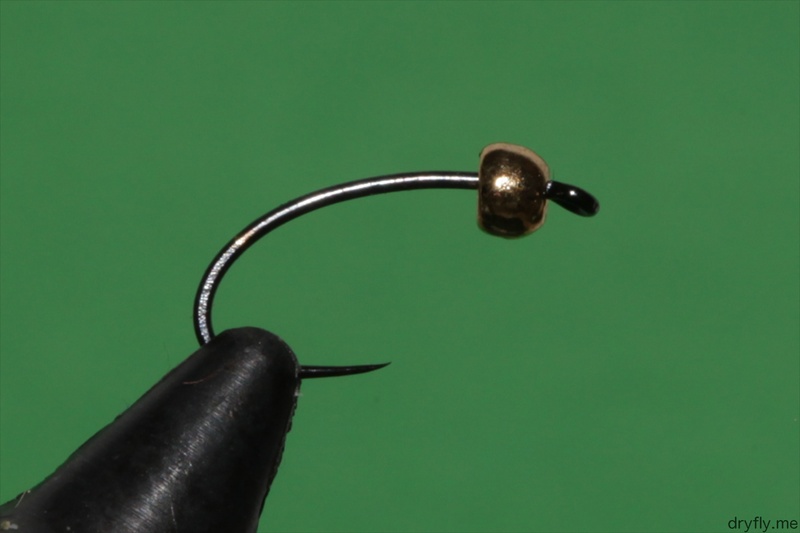 Bead-size to hook size: there are a lot of references out there that will tell you that this-size bead should match up to that-size hook, but I’m more of a visual guy and like to see how things will be when added to a hook. 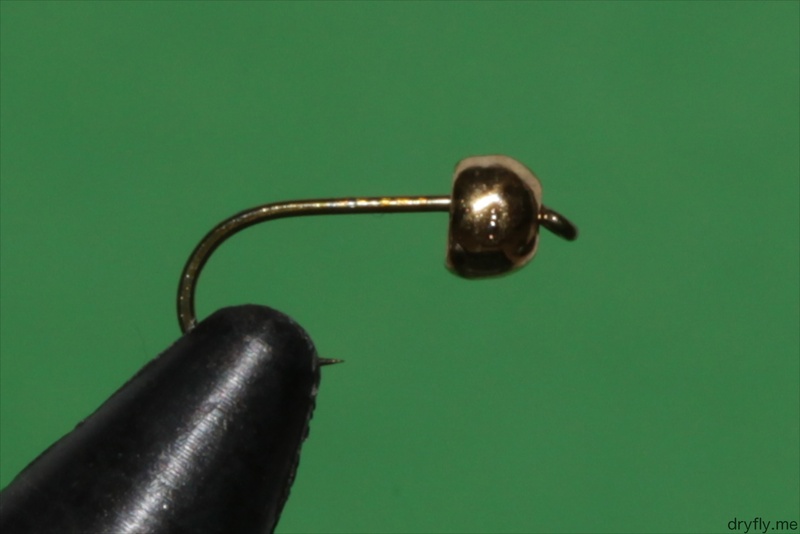 You can get beads from a lot of suppliers in different variations, but here I am showing a 3.0mm tungsten Bead bought from flysite.co.nz. 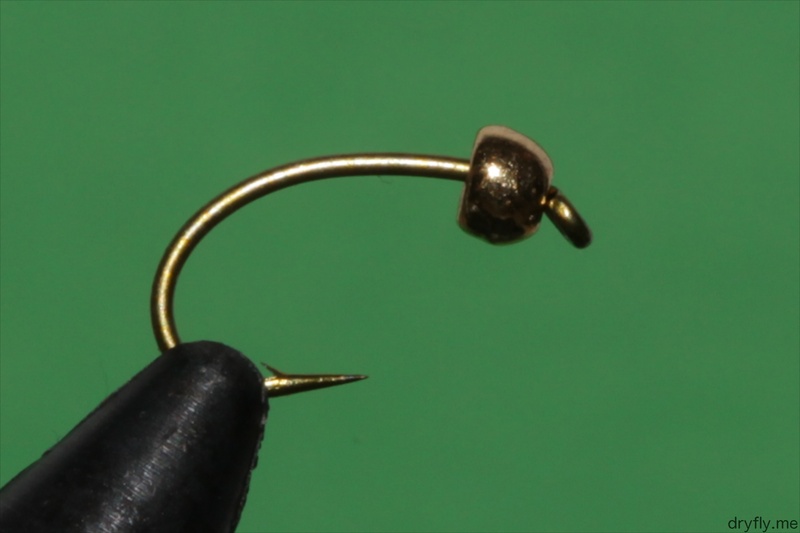 The hooks presented here are the ones I have available at the moment, working on getting more styles of hooks available and will update this article as I get more. 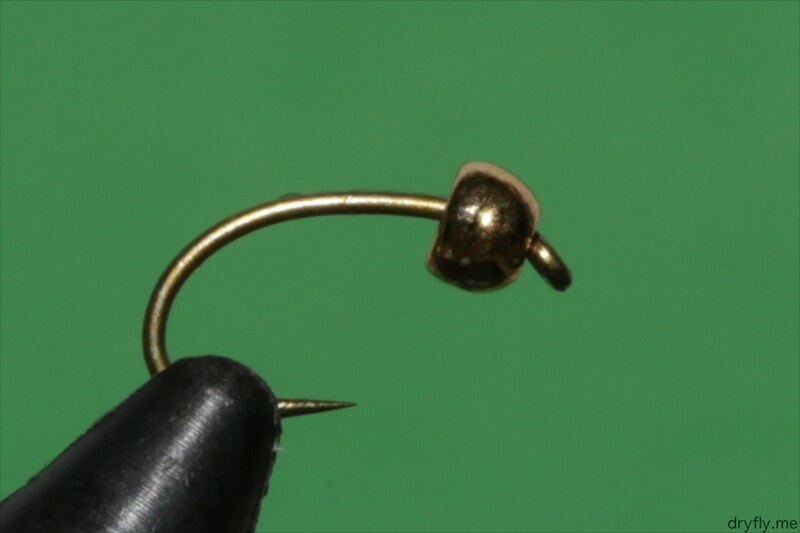 A 3.0mm bead should be 3.0mm (!) 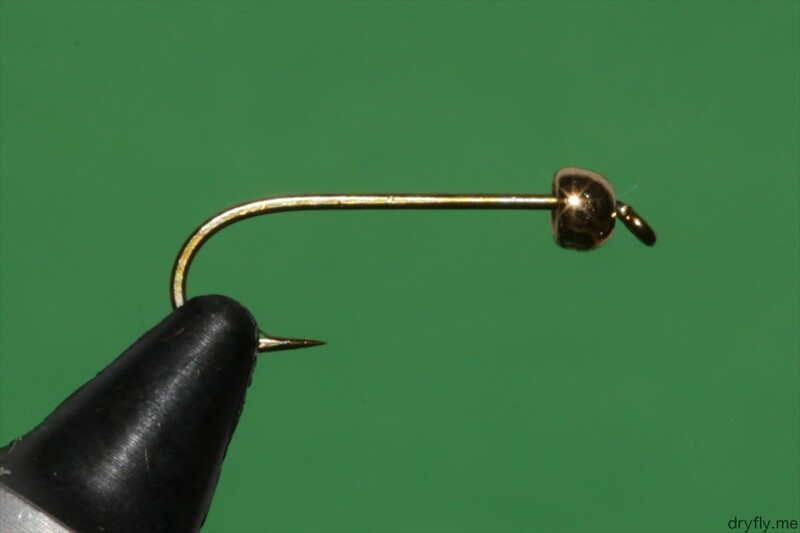 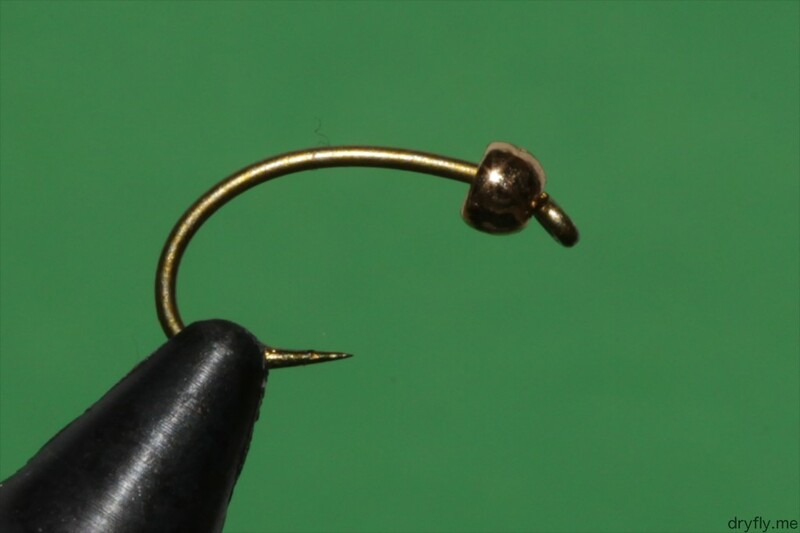 from all suppliers, but you will of course get some small variations in the hole that the hook goes through, so if you get it on might be tricky in the top/lower level of what a bead should be used for in terms of hook size. 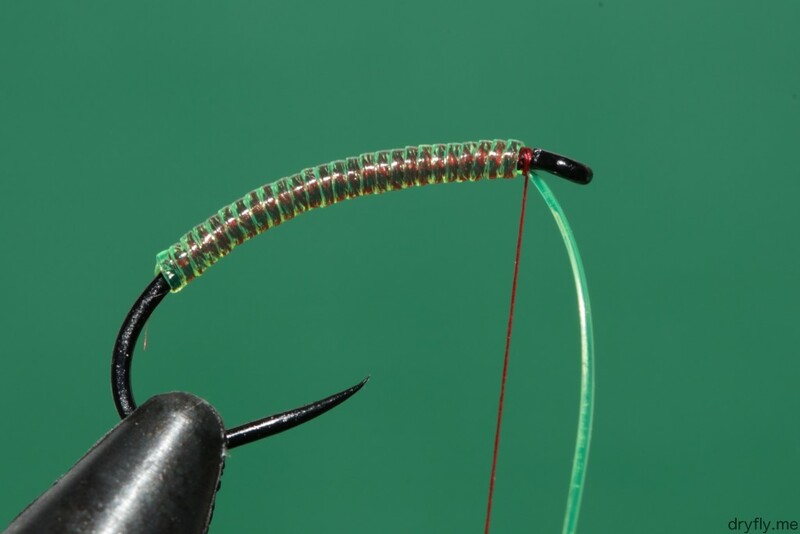 The Vinyl Rib is great for segmented bodies on midges, stoneflies, nymphs, emergers and much more. 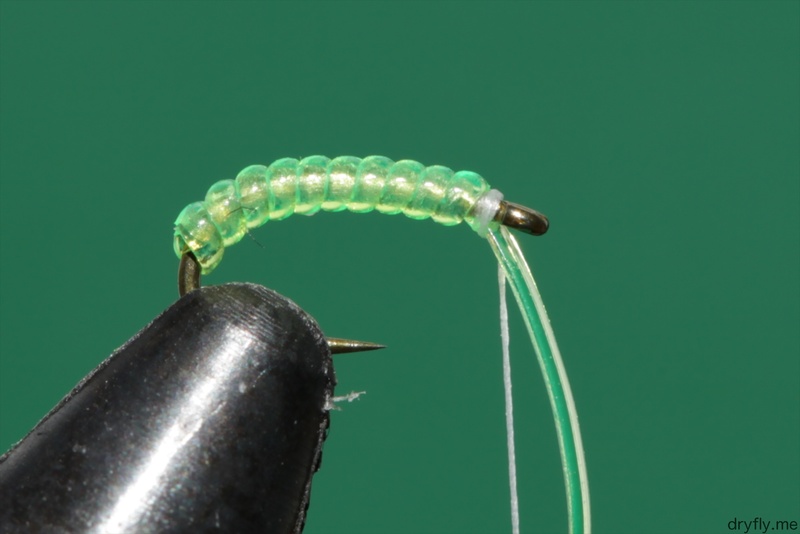 This is the UTC MDG in chartreuse that I have tied on 3 different sizes to show how the segmentation will appear on different hook sizes. The Rib is slightly see-through and you get a nice effect if you wrap the hook with a different color to get a effect.